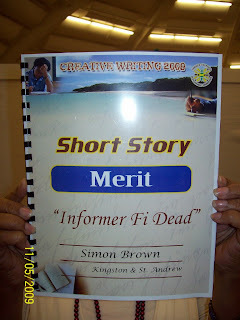 This blog has been a long time coming.. my name is Simon Phillip Brown A.K.A. Simo-B and this is my blog titled Written Word which will include my poetry and my Short Stories a few updates on my music and any writing ideas. I require constructive criticisms whether you like them or not, I would love honesty so that I can grow as a writer. Enjoy. I was born May 23rd 1986. I graduated from High School in 2002 from St. George's College where I also attended 6th form (pre-university courses) until 2004. I received my Bachelor's of Arts Degree in 2008 from Ohio Wesleyan University as an English Major, Concentration in Creative Writing, and a Minor in Black World Studies. For food and cigarette butts. Hit it out of the stadium. Could he start all over again? while digging through the garbage for breakfast? The book I was published in (So Much Things to Say) will be put into multiple libraries worldwide. 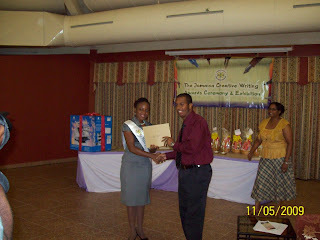 The Gleaner Article explains more and they mention my name in the article. Much Respect goes out to Justine Henzell, Kwame Dawes and Colin Channer for giving me this opportunity. I plan to write a series of poems titled Scars. One of the poems in the series is titled Starfish. The theme is based around kids in Jamaica who have various Scars and how each scar tells its own story. The poems will be fictional but influenced by true stories that I have been told. I performed this poem at Middlebury College's Bread Loaf School of English. Check the video at the end. Yo, how yuh get dat scar? as if it were a work of art. runs his fingertips through the grooves. with five points like a starfish. How yuh get dat scar dawg? His mind flashes back to the pain. on his face and chest? Or was it the ring that gave his lip a bloody kiss? but what made the scar? Just an Update, in the past year I have had two pieces of my work published in two separate books. 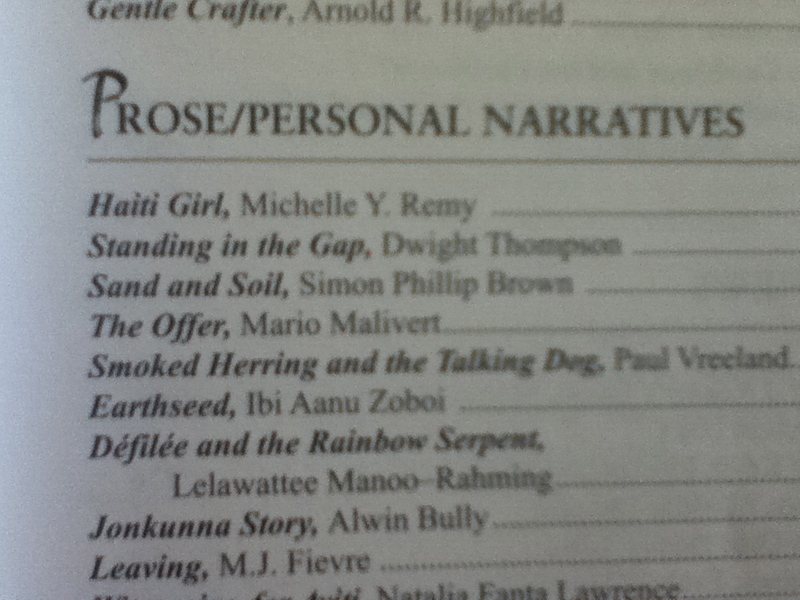 The first one was a short poem titled 'Bully' in The Calabash Poetry Anthology "So Much Things To Say". 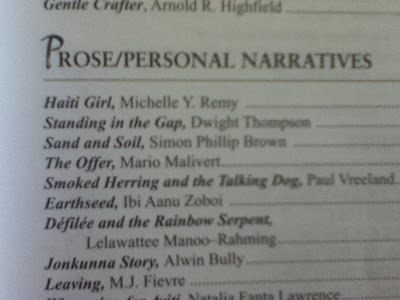 The second is a short story titled 'Sand and Soil' which was published in The Caribbean Writer recently. and many other talented writers. I would recommend it's purchase not only because I am in it, but because they are great to read. In this mountain mathematics four wings make one. Colors you gave me that I’ll never give back. And a High Meadow Blackbird – vocal sensations. It moves to the rhythms of the heart. that can never be visualized. and lives in the bloodstream. from the eyes of children. and boils on the trembles of their lips. could be closed like eyelids. Unable to flash memories like repetitive blinks. Simon Phillip Brown's Poetry by Simon Phillip Brown is licensed under a Creative Commons Attribution-Noncommercial-No Derivative Works 3.0 United States License.